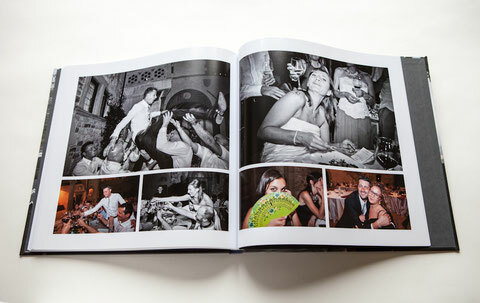 The Story Book Wedding album consists in a sequence of images shot in reportage style. The photos represent a document reporting this inique experience. Your day, your story, your life. In general this day passes by so quickly that you don’t even realize all that happened. Therefore it is so important that you have an album that freezes these memories. A wedding is certainly one of the most important moments in a person’s life, precious emotions that cannot be simply summarized in a pile of photographs. The Story Book Wedding album attempts to represent the exact sequence of those moments and reconstructs in your memory the true emotions that you lived that day. As your photographer, I have the privilege to take part in recording those special moments of your life therefore discretion, simplicity and sensitivity is imperative. My goal is to capture the little details, the emotions of that day. What makes my work unique is the capacity to catch those moments, thanks to digital techniques, that freeze moments in time, revealing the real emotions expressed. Fewer formal shots certainly gives my work a lighter more pleasing aspect and surely reflects the days events in a truer light. In conclusion, my work is artistic reportage photography as this is my style, and the centre of my attention is to create an album that above all, is a work of art.. Wedding albums: more than just a memory. The wedding albums created by SBW become the most important day of your life in a beautiful family heirloom to keep forever. (WBE 002) Hardcover books 12x12 in. By filling this document you automatically allow the SBW to use your data according to Italian 675/96 low terms.